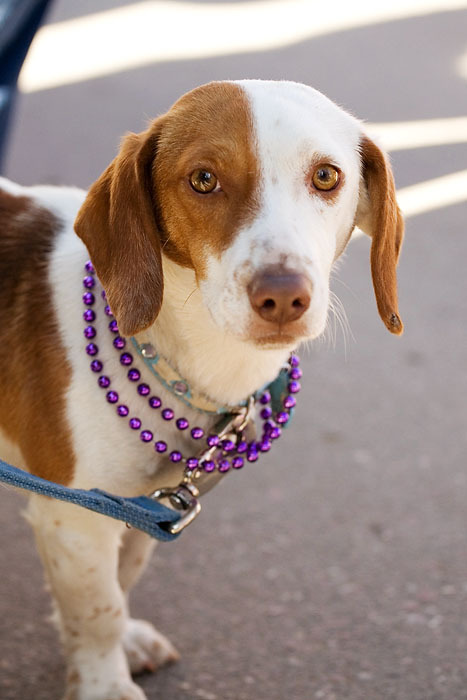 I went to the Mardi Gras parade here in Manitou on Saturday with my friends Brad and Sarah. 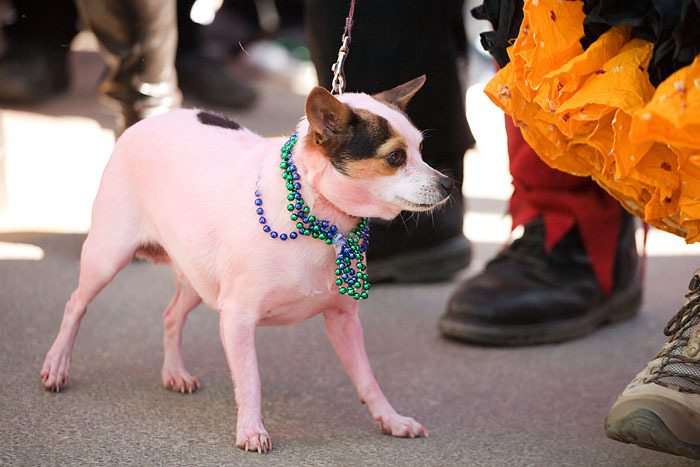 Immediately I was drawn to all the adorable dogs dressed up in beads. It took me a while to noticed that most of them shared an expression of one who is plotting something sinister. This one sympathized with his boy, who was also dressed like a clown. This one is planning to eat your new designer handbag when she gets home. 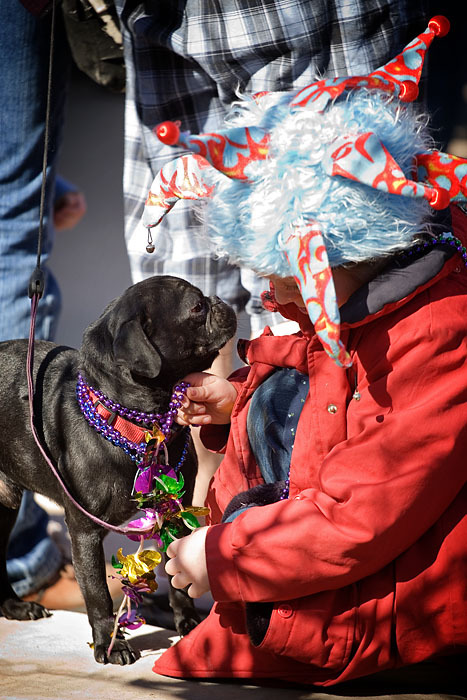 This one arrived at the parade and prompty made a beeline to the exit. Thanks for sharing, gonna show my colleagues in the office tomorrow! Thanks! Your work is great; I love your style. And your album designs are gorgeous. I see some Flushmount in there, but are all your albums done through them? Some of yours look a little like KISS but I can’t recognize all the styles. I’m a big fan of Asukabook, but you can’t beat that seamless two-page spread of the flushmounts (I think it’s them, anyway). I hope all the craziness is slowing down there a bit today! I’m glad you stumbled upon my blog! I hope the album photos were helpful for you. It’s good to meet a fellow LJ photographer! 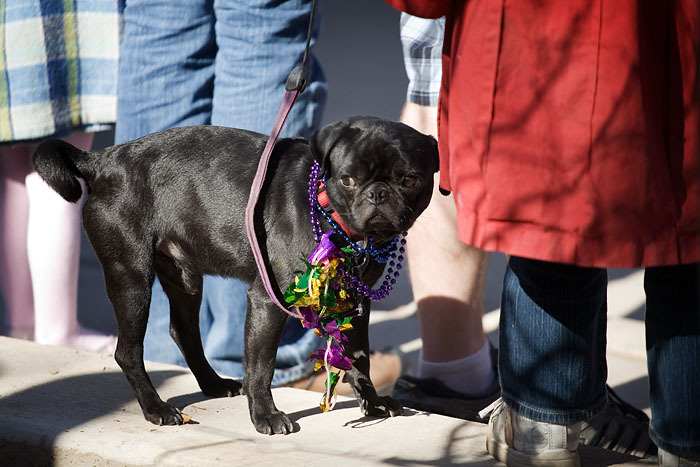 Wow, I didn’t know Colorado put on a Mardi Gras parade! Very cool. I’m from New Orleans, so I love seeing how some other cities incorporate Mardi Gras into their locale. The poor poodle really doesn’t look too regal to me. Demoralized, if anything. 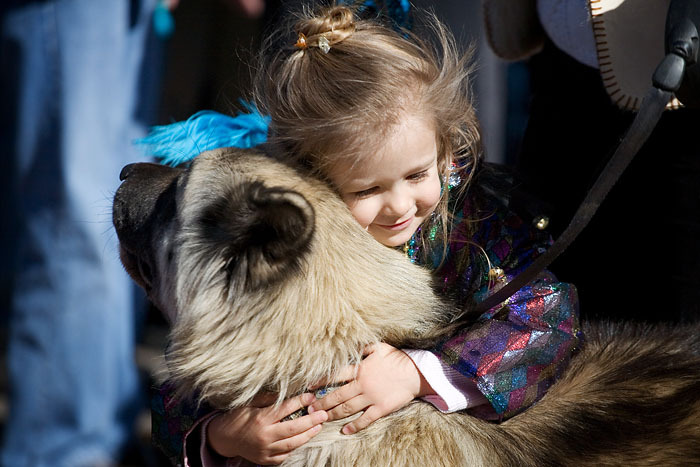 I love these dog pictures! 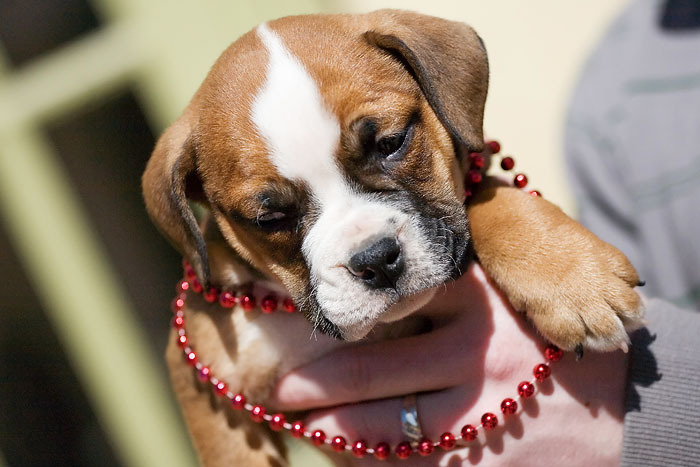 For some reason, I love the pictures of the dogs wearing beads. I found you randomly through a Google image search for examples of albums, and it turns out one of the first hits was someone else on LJ. 😉 Your albums are gorgeous! I added you. I’m a fellow photographer, and I love seeing other people’s style. I haven’t seen Braveheart, believe it or not, so I had to look up Edward the Longshanks… that’s pretty funny! 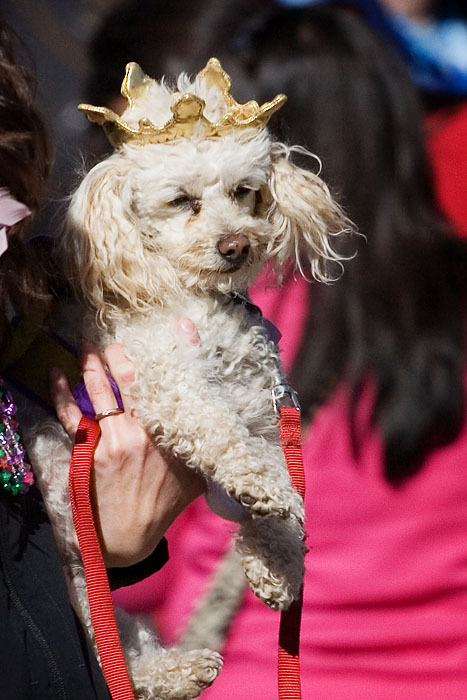 The poor poodle really doesn’t look too regal to me. Demoralized, if anything. Yeah, seriously, they are all going to have “accidents” on Persian carpets when they get home. Those icy blue eyes were so beautiful. Aw, that’s hilarious! I’ve tried dressing Ally up for Halloween or Christmas, and she is definitely not a fan. Princess Leia wasn’t a big hit. 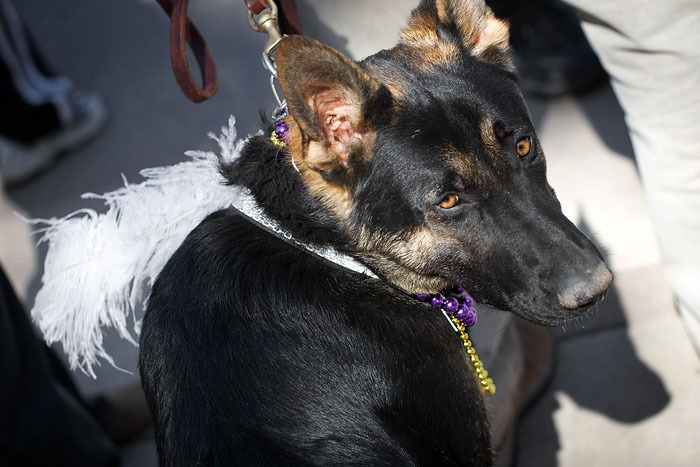 It is amusing how pets can get “that look” on their faces when people dress them up. My favorites are the poodle and bulldog. 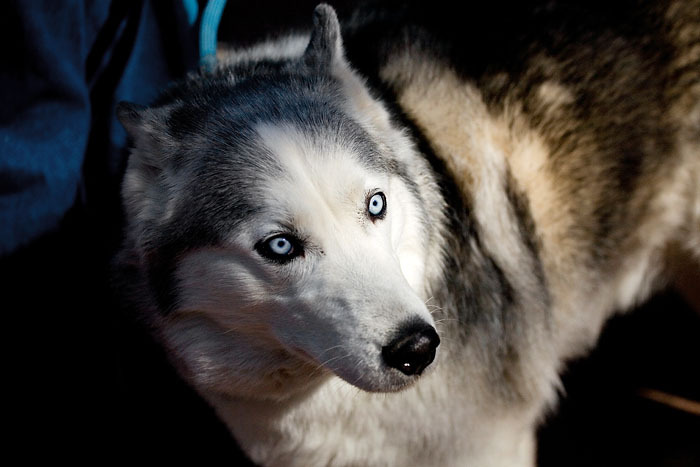 Oh, what startling eyes on that Malamute! 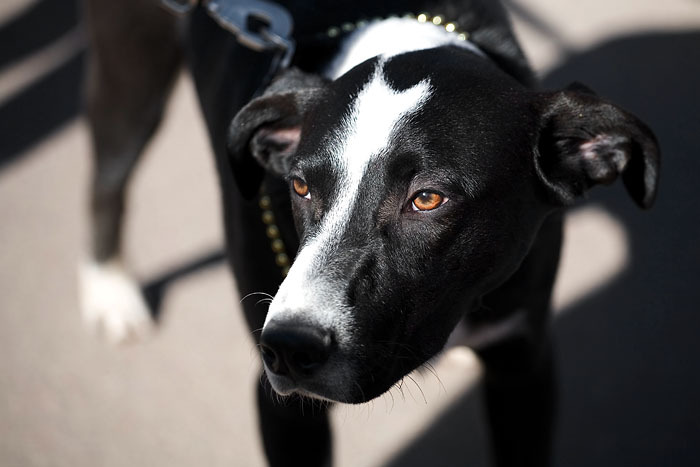 And I agree with a comment above- Ally would be the most beautiful pooch there! 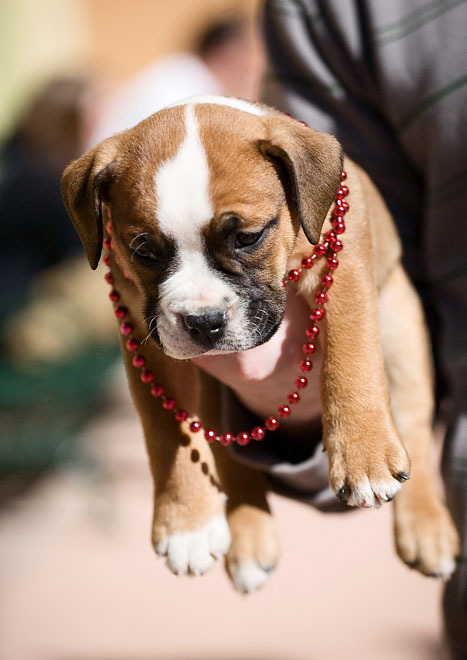 That boxer puppy is too cute! All of them are adorable, but that puppy takes the cake in my book. Not that I am biased or anything…see icon. Ally Would Be The Cutest One There!! 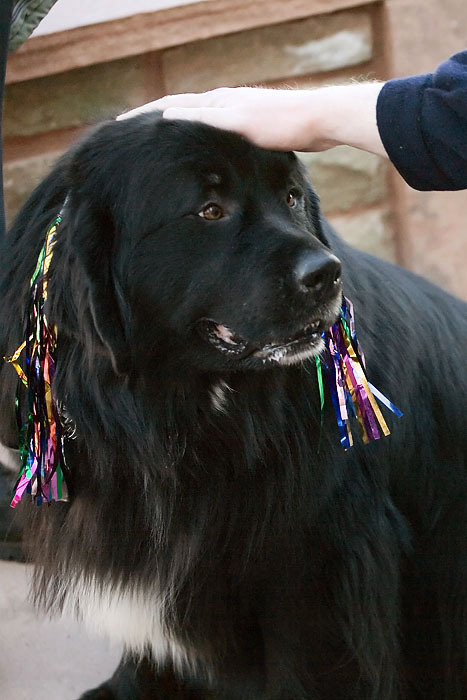 In Mardi Gras beads, Ally would look so cute. 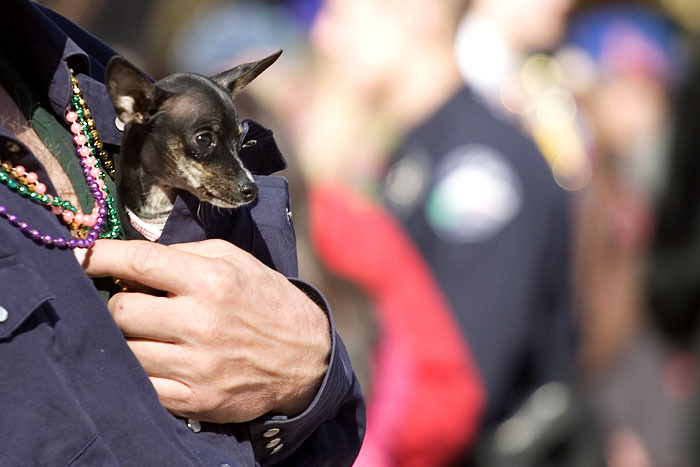 She’s be the best-dressed pooch there! 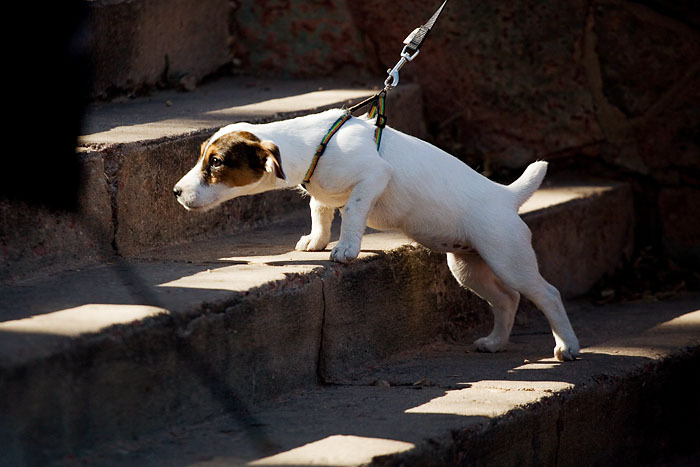 Those are adorable…it’s so funny how some dogs will easily dress up and others run the opposite direction. My aunt and uncle used to have this HUGE Belgian Shepard who loved his holiday themed bow ties! They were so adorable weren’t they?